Together with St. Antim, Metropolitan of Wallachia and Constantin Brâncoveanu, Voievod of the same country, St. Teodosie. Metropolitan of Moldova complete the group of the Romanian martyr saints of the late Middle Age. 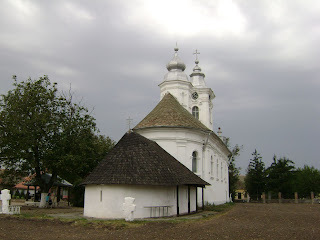 Saint Teodosie was born in at the beginning of the 17th century in Vrancea, a county situated on the border between Moldova and Wallachia. There was quite usual at that time that the young boy to enter the monasteries and the fact that Teodosie was a monk since his childhood is indeed not a singular case. The privilege of being tonsured so young consisted sometimes in gaining a good culture, because at that time fast all the Romanian schools were patronized by the monasteries. Because of his culture, Teodosie was appointed secretary to the office of Bogdana monastery, one of the important convents in Moldova, situated near Suceava, at that time the capital of the country. Later he was appointed abbot of the same monastery and took care of rebuilding the facilities. 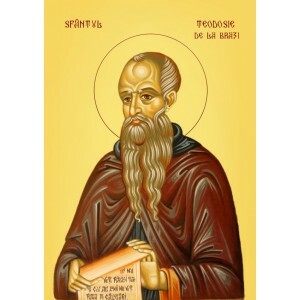 In 1670 Teodosie was ordained Bishop of Radauti, and in 1671, he was transferred to Roman, where he continued his mission as spiritual father, but also church administrator. The 17th century was a difficult period for Moldova, who was a disputed land between the Turks and the Poles, these being in a long war between 1672 and 1676. Although keeping its autonomy, Moldova was still under ottoman rule, which imposed many times the rulers, who usually changed very often, sometimes more than once in the year. Because of a Turkish invasion, St. Metropolitan Dosoftei (1671-1673; 1675-1686), together with Prince Ştefan Petriceicu ( Aug. 1672 – Nov. 1673; Dec. 1673 – Feb. 1674; Dec. 1683 – Mar. 1684) and an important number of Moldavian noblemen were forced to flee to Poland in 1674. The Turks completed soon the vacuum of power, imposing a new Prince, faithful to their politics, namely Dumitraşcu Cantacuzino (Nov. 1673-Nov. 1675 and 1684-1685). The new ruler enjoyed no popularity and resisted only by being helped by the Turkish and Tartar armies stationed on the Moldavian territory, this situation being very hard for the population, because of the many abuses these used to commit. In order to legitimize the rule, Dumitrasu named a new Metropolitan in the person of Theodosie, who was forced to accept the new position. The contemporary historian Ion Neculce writes in his Chronicle of Moldova that Dumitraşcu kept the Tartars in Moldova in order to stay as much on the throne, paying a high tribute, which came from the high taxes on Moldovans and the money collected from the monasteries. This situation couldn’t be accepted any longer and “Metropolitan Teodosie went to Prince Dumitraşcu Cantacuzino saying: What are these Your Highness, are you alike the Antichrist? And the Lord became angry and took him out of the office with dishonesty”, only one year after the appointment, and banished him at St. Sava Monastery in Iasi. Dumitraşcu lost his throne not long after. In 1675 Ştefan Petriceicu and Metropolitan Dosoftei returned from Poland, freeing Teodosie from his prison. Because there couldn’t be two metropolitans at once and a “relegation” in the hierarchical rank is not possible, Teodosie retired in his homeland, living sometimes in Focsani, an important town in the region, and sometimes at Bogdana Monastery, where he used to be abbot. As a retired bishop, he used his money and influence in order to reconstruct the monastery from Brazi, where there were built a new church and cells for the monks. In order to establish a special monastic rule, Teodosie brought there Zaharia, an old abbot, who lived for a while in Mount Athos. In 1688, while being in Focsani, Teodosie was kidnapped by the Greek friends of the former ruler Dumitraşcu Cantacuzino and taken to Wallachia. Here he was imprisoned and tortured, being investigated for treason. He managed to escape after 10 weeks and returned to Brazi. In the next years he planned in detail the construction of another three hermitages in the region, but he didn’t manage to finish his project. In the fall of 1694 the Tartars came again in Moldova, causing great damages in the south of the country, destroying several churches and taking people as slaves. The old bishop Teodosie foreknew his near end and therefore prepared himself for that. Soon there came a band of Tartars at Brazi, who had tortured him and asked for the treasures of the monastery. He refused to discover them, so the Tartars beheaded him. In the following night, some Christians buried him in hurry. Saint Antipas from Calapodesti (1816-1882, commemorated on 10 January), was a novice at Brazi monastery in 1842, when the relics of Metropolitan Teodosie were discovered. He wrote that “Archimandrite Dimitrie, prior to be abbot of Brazi, lived a harsh ascetical life in a big forest, were he once found by chance a pot filled with gold coins. 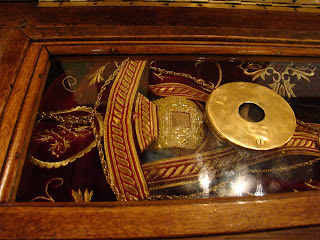 He found a note in the pot, which said that the money belongs to Metropolitan Teodosie, who hid them there, foreseeing his martyrical death by the hands the Turks ... who would have found this money was indebted to build up a convent and three hermitages ... and at the ending of the latter hermitage, he will find also my relics”. Archimandrite Dimitrie fulfilled the last wish of Metropolitan Teodosie, and in the courtyard of the third hermitage he ordered the digging of a grave for himself. Abbot Dimitrie wrote himself about this event, on February 20, 1842: “I have wished to make my grave in the cemetery at Brazi, justin the middle of the place where it was once the old church. And digging deep six hands [...] I have found the place where, at the legs of the deceased Metropolitan Teodosie, the founder of Brazi Monastery, there was the head of my grave. And digging up further, I have found the whole body with the bones strung and the head I found upside down, put on a big brick in croissants, as it is known that he was cut by the Tartars and buried at night by some believers”. 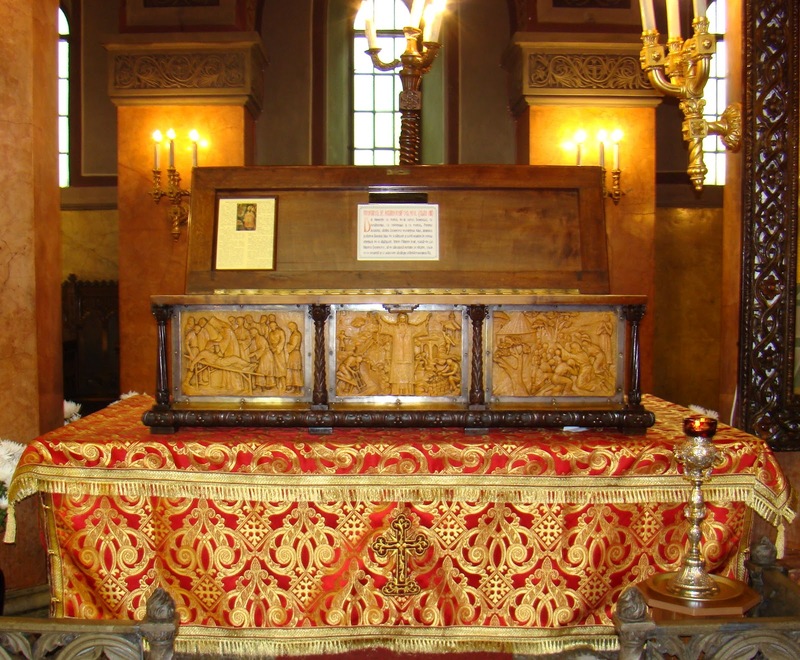 Saint Antipas noted also that, “I myself made me worthy to see and kiss the relics, from which it came out a very fragrant perfume”. On May 6, 1842, the relics of St. Teodosie were placed in a new tomb, built in the northern part of the underground chapel of Brazi monastery. Later, his head was taken out from the tomb and sat in order to be worship in that chapel. 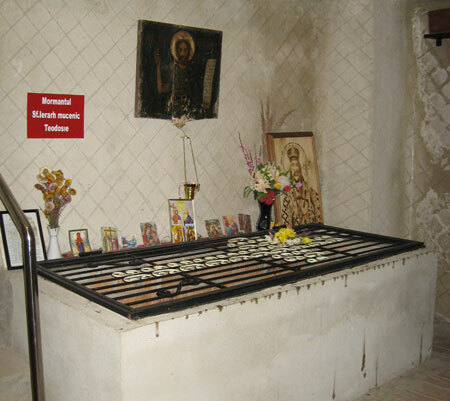 Here it remained until 1959, when it was put back in the tomb, in the year when the monastery was dissolved after a communist decree. After reopening the monastery and the restoration that followed, Abbess Justina rediscovered the relics on March 20, 2000. 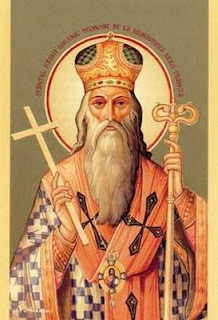 The official decision of the Romanian Holy Synod of Bishops, concerning canonization of the St. Hierarch Martyr Teodosie happened during the meeting from March 4-5, 2003. The Liturgy of proclaiming the canonization took place on October 5, 2003, at Brazi monastery, in Vrancea County. Since then, St. Teodosie from Brazi is celebrated in Romania on September 22. 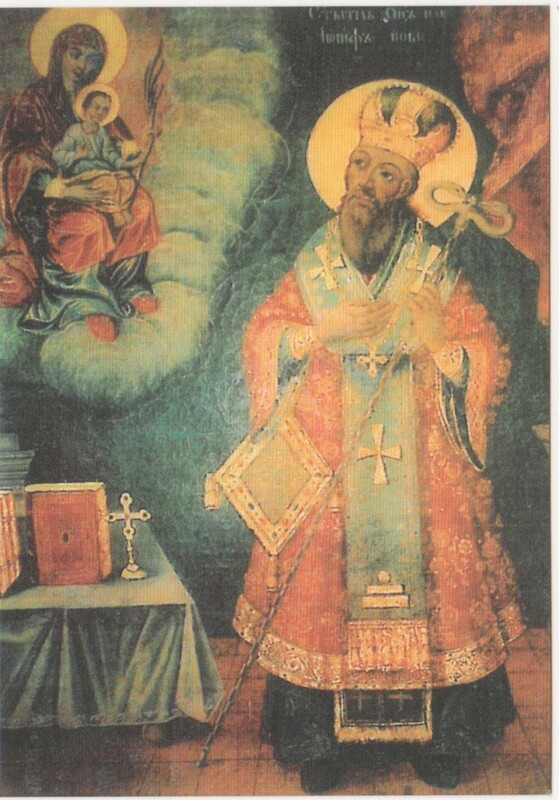 Saint Joseph the New from Partoş was born in 1568 in Raguza, in Dalmatia (today Dubrovnik, Croatia), from a Wallachian Christian family, being baptized as Jacob. His father was a Venetian named Giovanni Fusco, and his mother, Ecaterina, was originally from Limnos, a Greek island. More precisely, she had a „Morlach” ancestry, which is another name for „Mavro-Vlachos” (black Wallachian), one of the different romanic populations spread in the entire Balcanic peninsula, south form Danube. 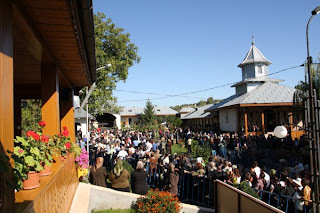 After his father's death, the young Jacob moved with his mother in Ochrid, an important Orthodox center in the region, also populated by Aromanians and black Wallachians. Here the young boy went in a monastery school, being 12 years old. Three years later, he entered in the congregation of the monastery of Our Lady of Ochrid, and remained here about 5 years. After 5 year of apprenticeship, he went to Mount Athos, at Pantokrator Monastery and he was tonsured monk, being named Joseph. Here in the monastery he was known as Megaloschemos Joseph the “Vlach”, which means that he has received the great monastic schema (Great Schema, in difference to the Small, consists in a new tonsure, usual received only by hermits). Here he lived for many years along with the monks, in a harsh fasting life, all-night vigil, obedience and humility. Finally, he went as hermit in the woods nearby and it is said to have the “gift of tears”, a highly prized charisma in Eastern monasticism and “the incessant prayer”, because he “lowered the mind into the heart”, that means that he united his reason with his spiritual senses. This inner union is considered in the Orthodox monasticism, particularly after Gregory Palamas and the hesychast movement, as the ideal of the human perfection. Because of the holiness of his life, Joseph could make miracles and cured many diseases, especially those crippled. Often he was called in several monasteries, where he healed the monks from their bodily sufferings. After a long time, the monks invited him back into the congregation and he was ordained priest and confessor of the monks of Mount Athos. Soon he became known also by the Patriarch of Constantinople who appointed him abbot of the Monastery of Saint Stephen in Adrianople, where he remained about 6 years. Coming back in Athos, Joseph became abbot in the monastery of Koutloumousiou, one of the oldest convents, basically built from the donations of the Wallachian voivods and noblemen. Being more than 70 years old, he retired in silence near Vatopedi monastery. But his mission still didn’t come to its end. In 1552, the western Banat, hitherto included in the Kingdom of Hungary, fell under Turkish rule, being transformed into a “pashalic” (1552-1718) based in Timişoara. In this context, it seems that there was metropolitanate in this region, under the jurisdiction of the Patriarchate of Constantinople. It's hard to say what nationality were the Orthodox believers in Banat. The massive Serb migration north of the Danube began after the battle of Kossovopolje, in 1389, when Serbia was occupied by the Turks. Until then there were in Banat only Romanians (Vlachs), Hungarians and Germans. A metropolitan of Timişoara died in 1650 and Joseph the Vlach was sent in his place, despite of his age, being about 80 years old. Maybe his nationality was important in the eyes of the Orthodox believers there. In any case, his ordination took place on July 20, 1650 and he served as Metropolitan only for three years. 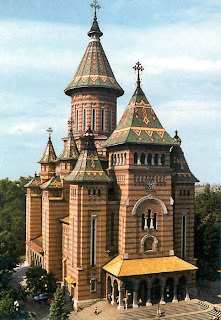 The tradition mentions several miracles of the saint, including fighting a fire that engulfed the west side of Timişoara. Apparently Joseph came out from the church with the Sacraments in the hands and, after he had prayed with tears, God have sent a heavy rain, so that the fire stopped. Being practically all his life long a simple monk, he might have liked the silence of the monastery more than the service as a hierarch. In 1653, Joseph retired definitively to the not-far-away Partoş monastery, where he lived for three years. This information came from a note, made in 1655, on a Menologion (all-day service book) that belonged to the monastery of St. George situated near the city: “This book belongs to the Lord Metropolitan Joseph of Timişoara, in 1655, who voluntarily left the diocese, withdrawing at Partoş monastery, where he lived several years and then moved to the eternal life, where the saints are resting”. According to tradition, when his passing into eternity, the monastery bells began to beat by themselves. Saint Joseph died being over 85 years old. He was buried in the monastery’s church nave, opposite to the entrance door. The popular tradition recorded soon the Metropolitan Joseph as a saint. In 1749, a pilgrim named Peica offered a Gospel-book to the monastery of Partoş, just before his trip to Jerusalem. On this book he wrote: “I, the sinner servant of God Hagi (=pilgrim) Peica, offer this holy book, the so-called Gospel, to the monastery of Partoş convent, dedicated to St Michael - where is located the body of the Saint Lord Joseph - for our good and our happy journey to the great city Jerusalem”. 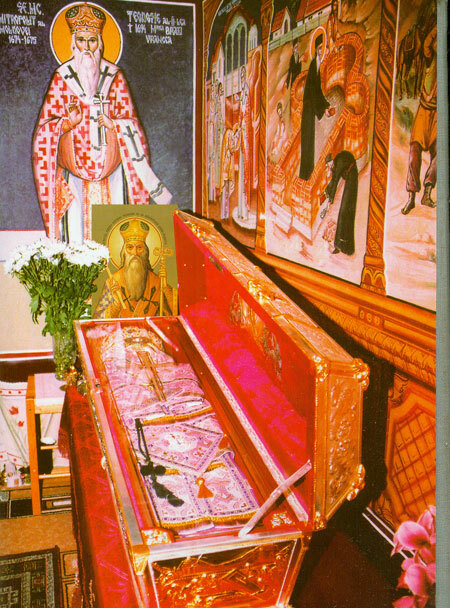 In 1782, the local priest Stephen Bogoslovici painted an icon, at the request of the Archpriest Ioan Şuboni, who donated it to the monastery, in order to be placed above the saint’s grave. On the icon there were written the name of “Our Father Saint Joseph the New” and the troparion (hymn of the saint) as follows: "In youth you entirely obeyed to God in prayers and labors and in fasting, being the icon of the goodness. Therefore God, seeing your good work, has put you bishop and shepherd of His church. Wherefore, your holy body has been preserved, after death, fair and incorrupted. Saint Joseph, pray to Christ our God, to bestow forgiveness to those who remember your holy memory, with faith and love”. 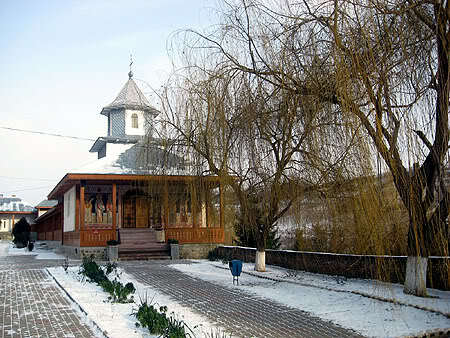 According to another tradition, the daughter of Mark Mutiu, the mayor of Timişoara in the middle of the 18th century, was cured at the monastery of a disease that she has long suffered. In gratitude, the mayor built here a new church, near the old one, where St. Joseph once officiated the Liturgy. This church still functions until today. In 1929 Bizerea, a local priest wrote also based on the local tradition, that St. Joseph “already during his life enjoyed the fame of a true saint, and after his death he has left a memory of a truly saint among the religious people and the monks”. The Holy Synod of the Romanian Orthodox Church decided soon the official proclamation of the Holy Hierarch Joseph the New. This act happened during a celebration on October 6-8, 1956, in the Metropolitan Cathedral in Timişoara, where his holy relics were placed. His commemoration occurs each year on September 15, the day of his enthronization as metropolitan. 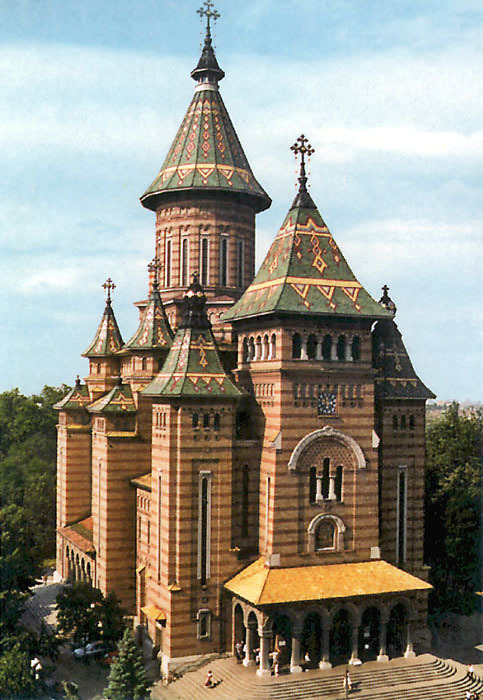 The Akathist of St. Joseph and the other Holy Services were included in the service books of the Romanian Orthodox Church. In 1965, the Synod of the Serbian Orthodox Church decided the name of St. Joseph to be placed also in the church calendars from Serbia, as a witness of the worship that St. Joseph enjoyed throughout the Romanian and the Serbian parts of Banat. The story about the firefighting remained very strong in the memory of the locals, so that, following a decision of the Romanian Ministry of Interior in 1997, Saint Joseph the New became the holy patron of the firefighters.